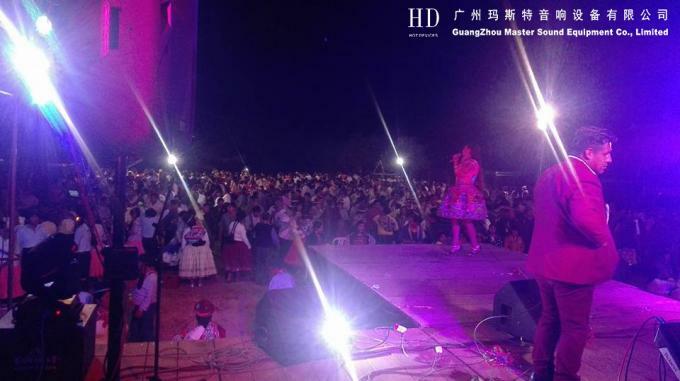 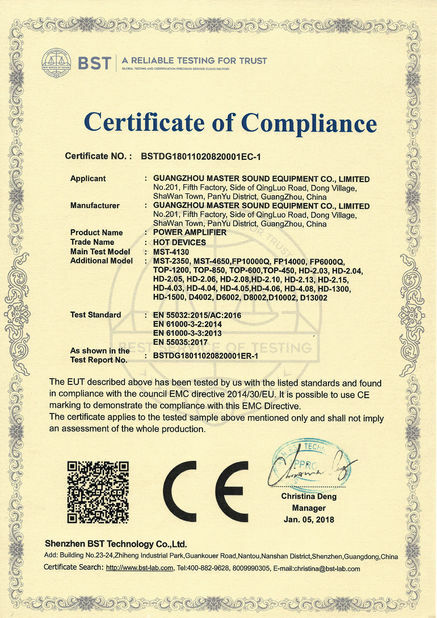 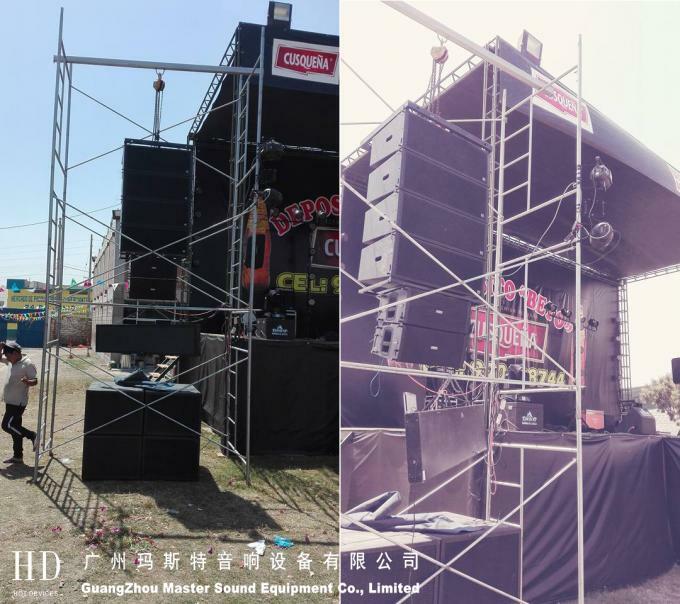 2*1.4"(neodymium) + 4*6.5" (neodymium)+ 2*12"
High power, high clarity and punch line array speaker system, your good choice for big touring concert, show, living event and church. 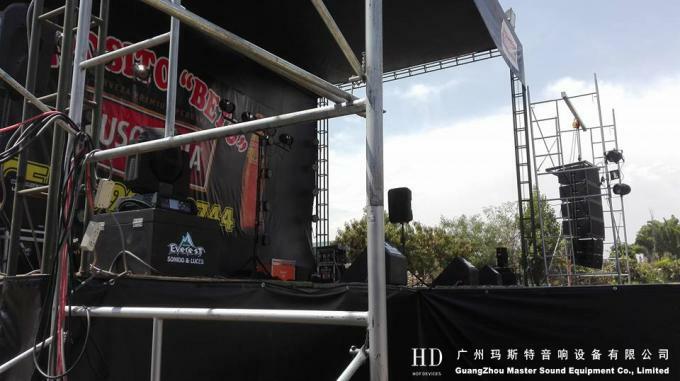 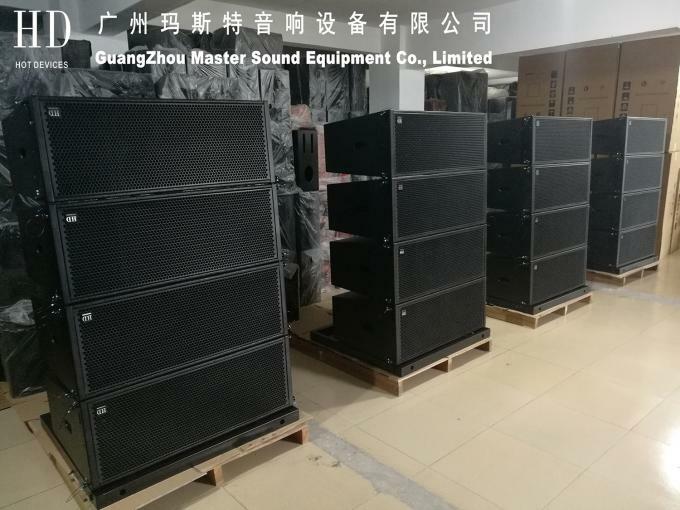 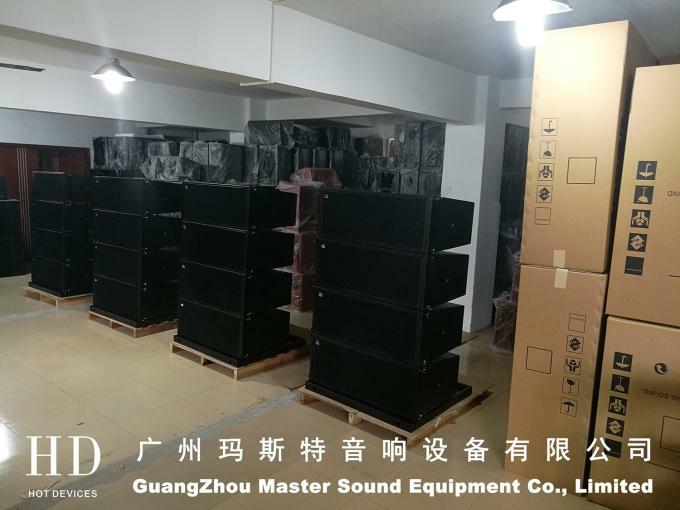 LA-212 line array speaker is designed for applications with high requirements on SPL, sound quality, throw distance, and dispersion.This line array loudspeaker system can be used in touring concert, disco, nightclub, living show, stadium, church and other applications. 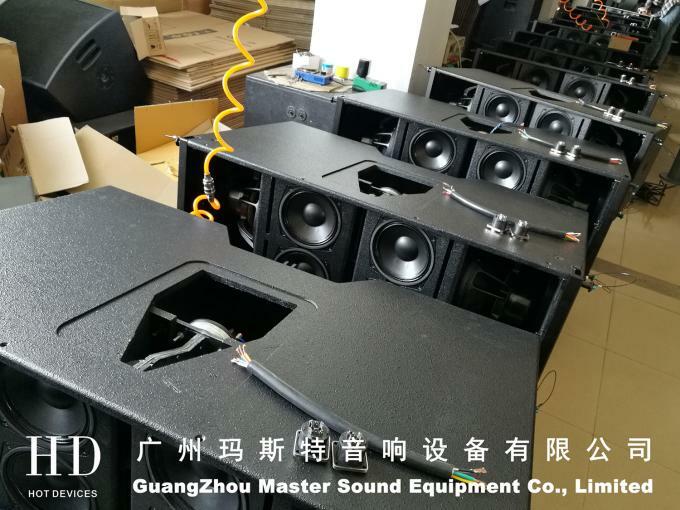 LA-212 is a 3 way line array speaker fixed with 2pcs P.Audio 1.4" HF neodymium compression drivers + 4pcs 6.5" MF neodymium drivers(two options: MF drivers made in China, or Beyma from Spain) + 2pcs 12" LF neodymium drivers. 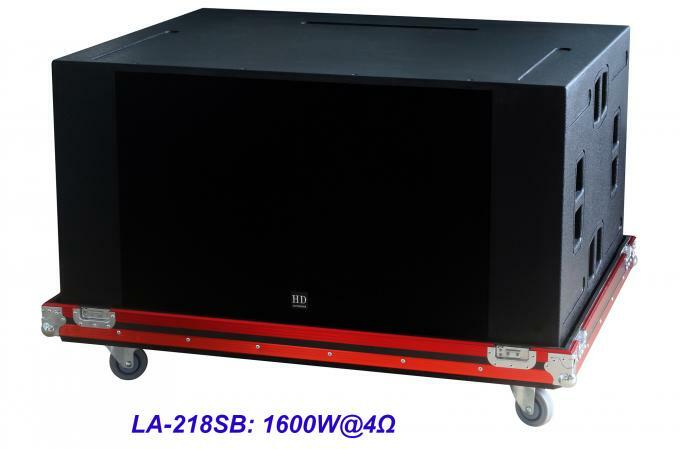 LA-218SB is one horn-loaded dual 18" subwoofer with power handling capacity 1600W@4ohm. 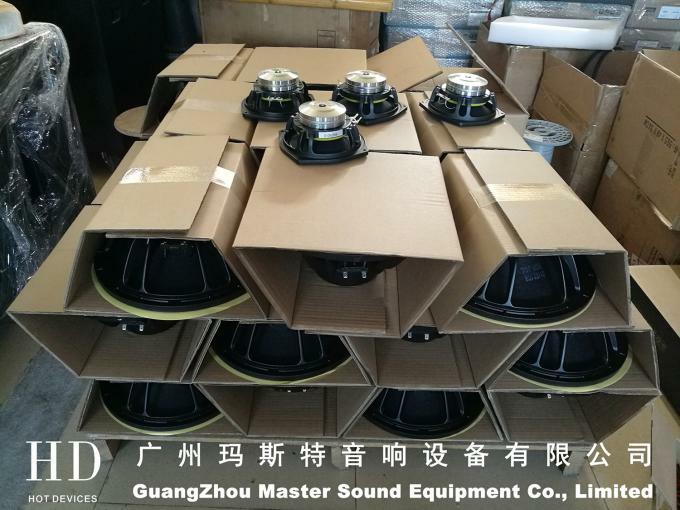 It is perfect for outdoors applications: big power and long throw distance. 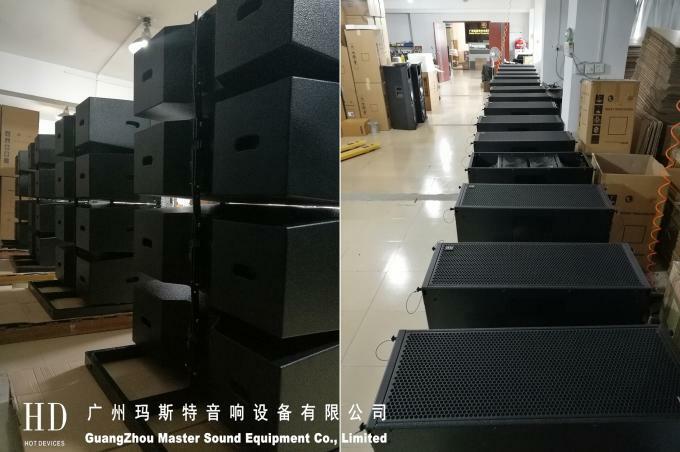 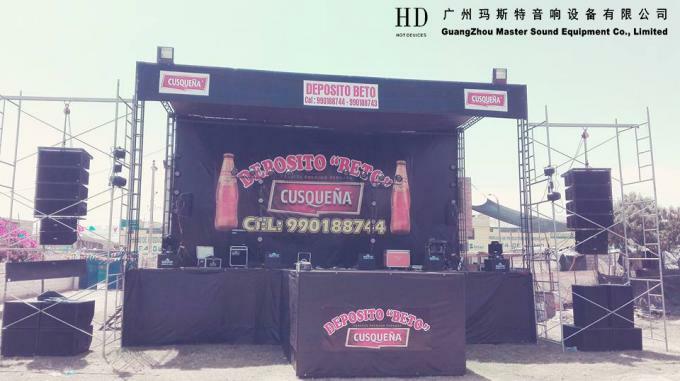 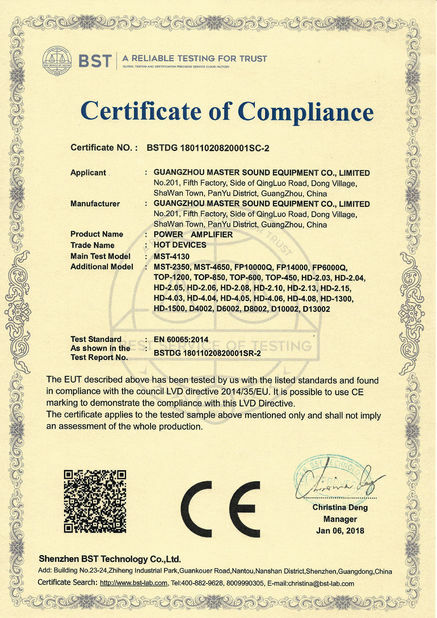 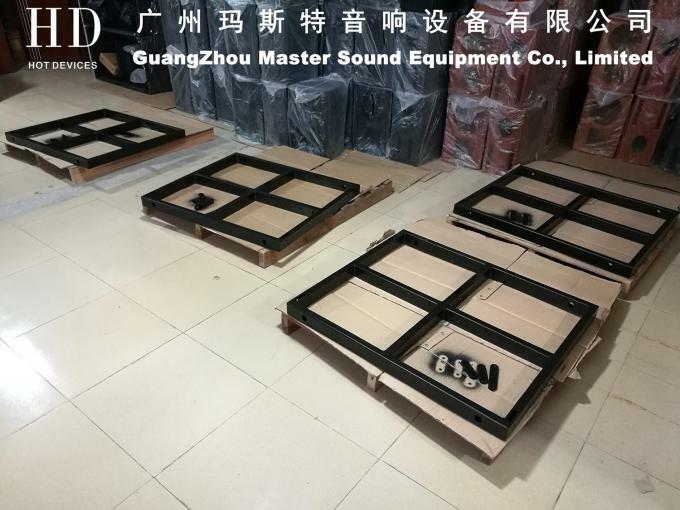 To set up LA-212 + LA-218SB line array speaker system, you can choose our 4 channel switching amplifier FP 10000Q(MST-4130) for LA-212 and 2 channel switching amplifier FP14000(MST-2350) or analogue amplifier HD-1500 for LA-218SB. 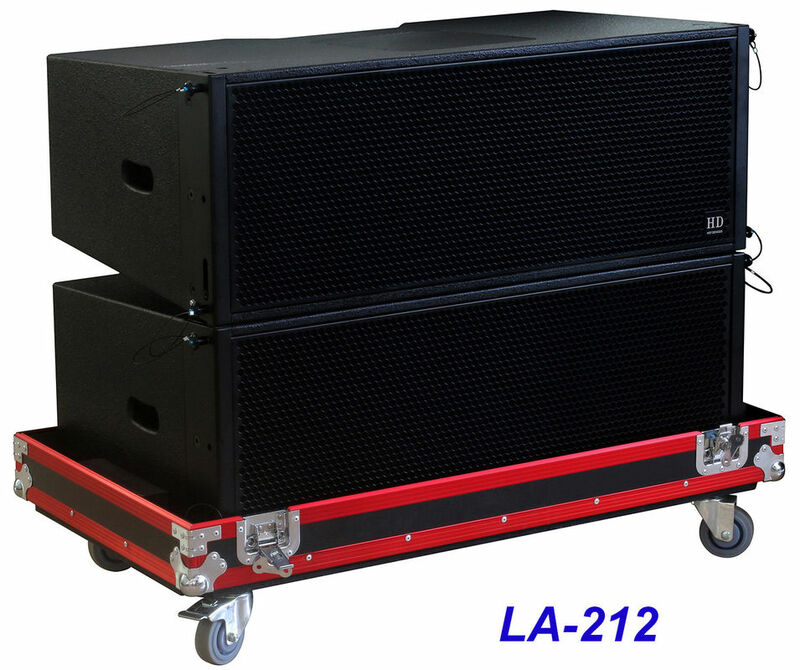 LA-212 is one 3 way line array speaker with crossover mode ACTIVE. 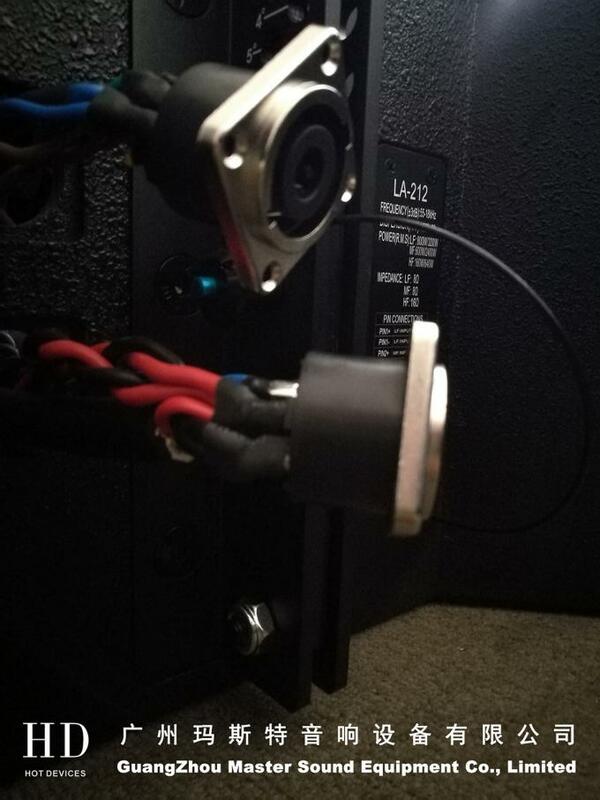 So, for EQ, DELAY, X-OVER, LIMIT, you need to set the menu in the processor LSC36 or LSC48. 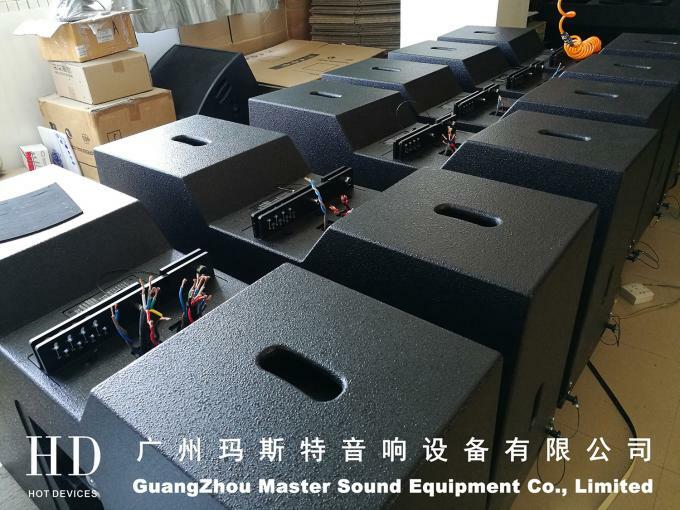 To avoid damage and scratch during transport,according to customers’ requirement,we can put the items in flight cases. 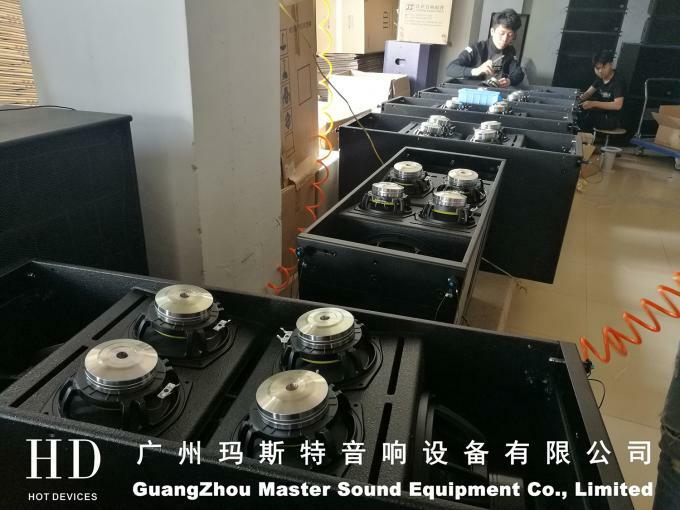 In order to save customers' time, before each shipment, we will connect amplifiers, processors and power/signal distributors, and we will set the menu in the processors. 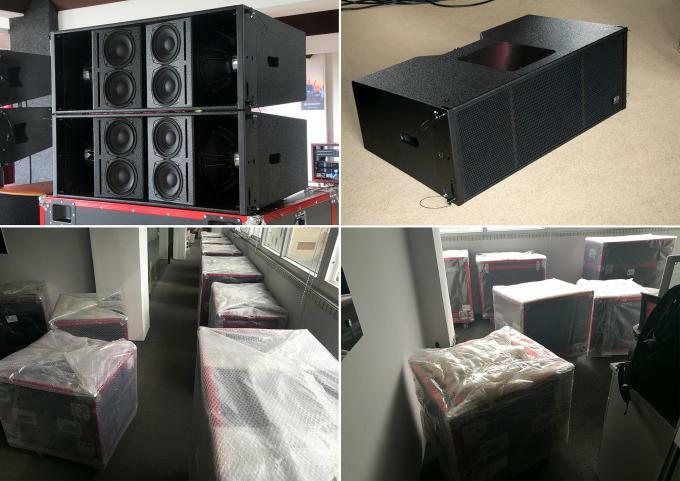 When customers get the shipment, what they need to is just PLUG & PLAY.